Google active nsx exhaust. You will see how this nsx owner did up his system based on some harmonics he wanted to attenuate and amplify. I think the tuned length should be similar for our engines too. Sounded nice, but I personally prefer a Unicorse or the Unicorse look-alike they make in the UK. 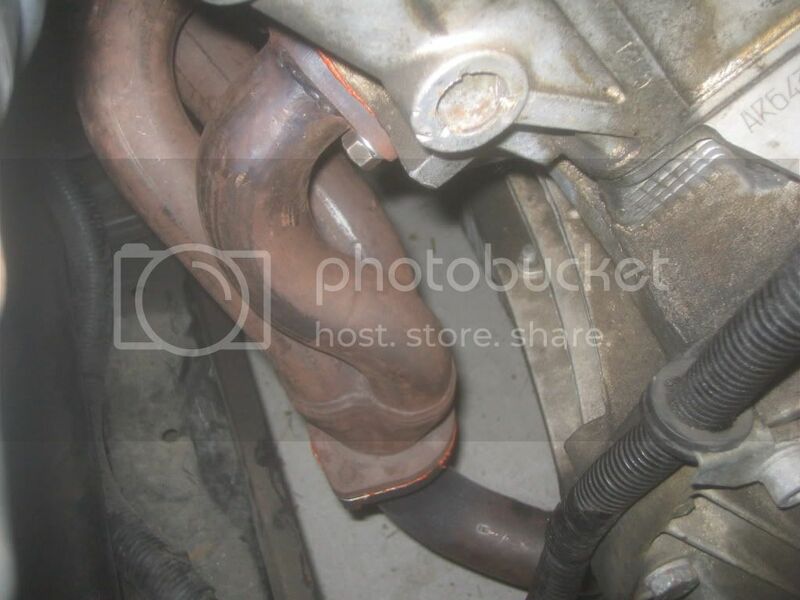 Had a look at the NSX active exhaust thread, interesting but most of the pics are missing. Left - how they started after chopping the flange off. 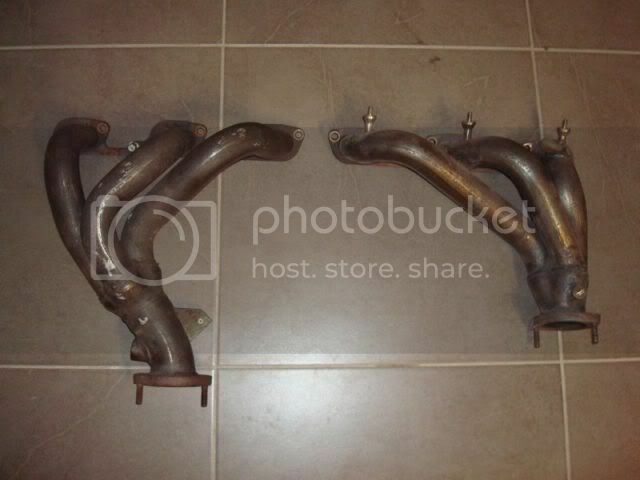 Do you have the GTV 24V headers? Will they work in your 164? I think the GTV's engine is canted forwards even more than the 164s. If they won't work in your 164, let me know. 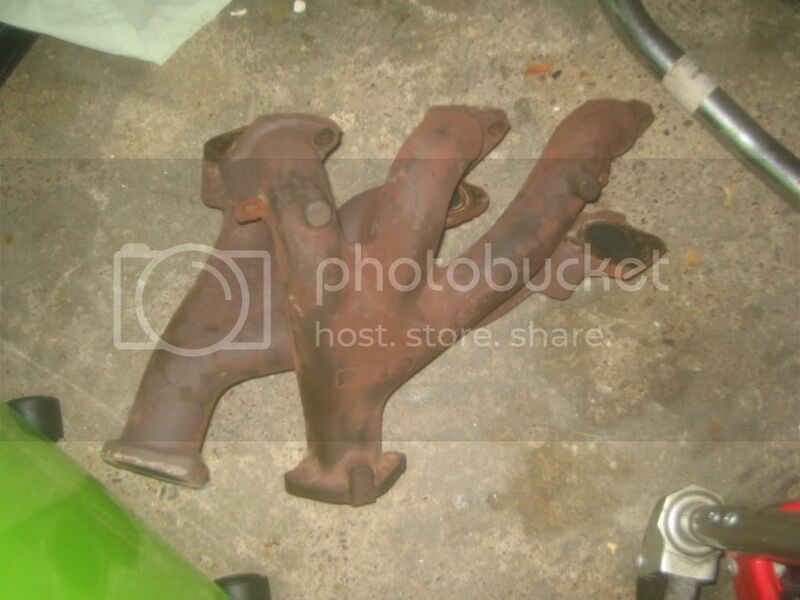 hah hah, yeah, I've got the GTV V6 manifolds (don't I feel stupid. 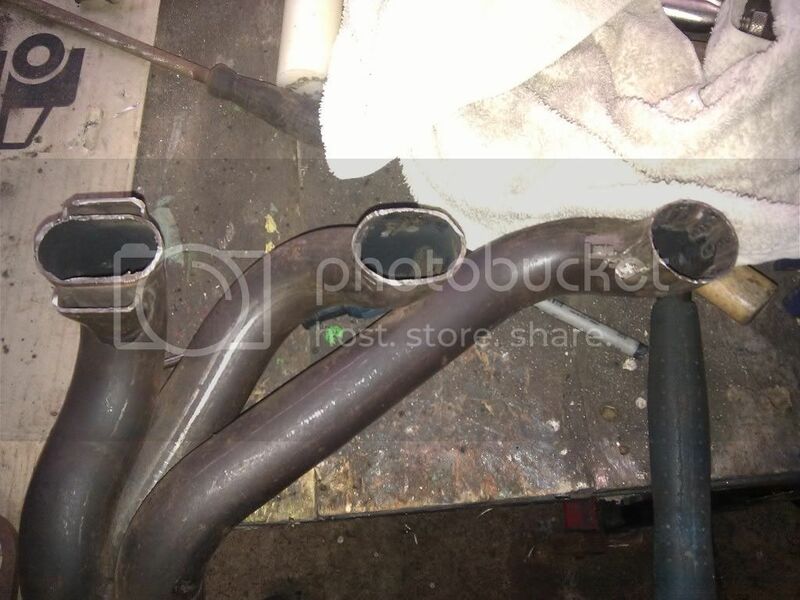 cut up some 24valve 164 manifolds, then 6 months later buy a 24 valve motor to put in the 164...) - front one is basically identical to 164, rear is a little different (see pic - right hand one is a 164 front I think - the GTV v6 has a slightly different collector and cheaper heatshield mounts). ...and I have a 164 24v Super standing around, go figure. Would break it for parts but it's too much work.. 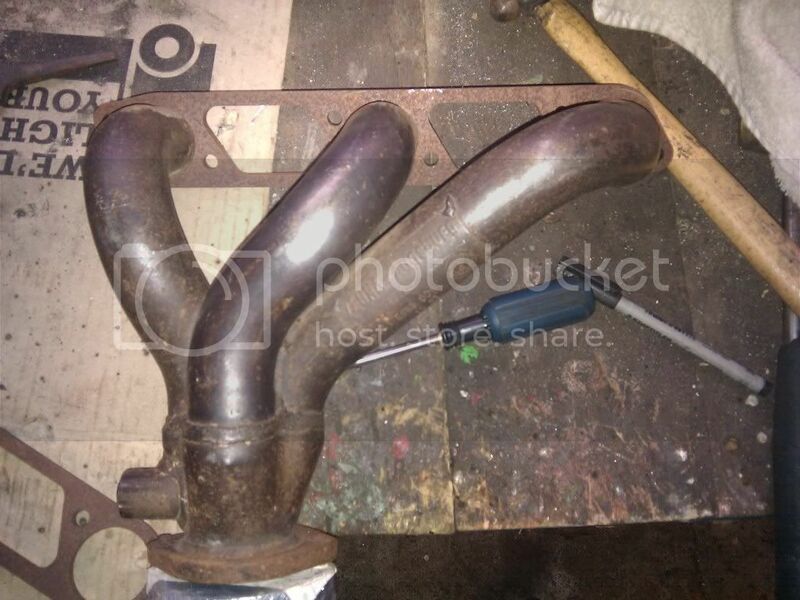 I'm thinking of converting a 24V manifold on my 155 V6. It looks like the pipe spacing before it ovals is about right? 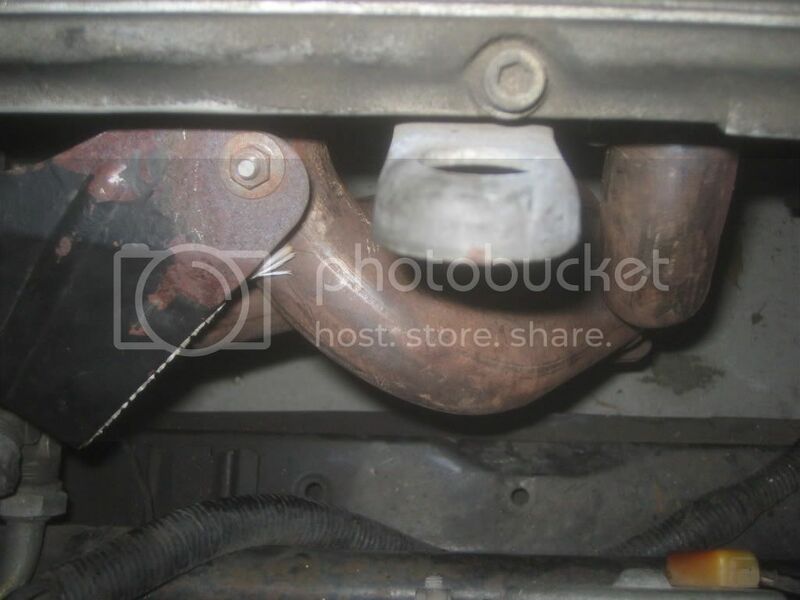 Since you had to cut the parts where it was ovals, did you have to add short lengths of pipes between the header and 12V flanges? Was just out doing an oil change on the red car - there is no way that the 916 rear manifold is going to clear the engine mount/driveshaft support without some serious mods. Bollox - the bolt on heat sheild on the 916 header is a much better setup than the 164 setup. Z - I carefull cut the flanges off so as to leave the full length of the pipe there (if you look at the one that's 1/2 completed you'll see i've actually cut half way through the weld bead on the inside where they're fitted) - then spent a bunch of time with a blow torch and hammers to make the tube round, and using the grinder and my welder I slit the tube and shrank it back down - where it's expanded out to the oval shape they tube is actuall increased in circumference. Some jobs behind that back bank I hate includes power steering pump out . Notice the 164 oil filter is smaller than the 156 and if some one over tightens it you need wrists like Arnie to undo it . Yeah, it's not fun back there on the right hookers with the clutch master poking out too. Screw doing a starter motor in the car! .. can you hear anything? so, the part throttle stumble i'd been chasing - thinking it was due to the previous owner dicking with the AFM spring (which they had) - turned out to be a blowing head gasket that then let go pretty badly. Dodgy temp sender meant i never caught it before it cooked properly.